There is no other realtor in the business that takes the care of documenting even the minutest of details in a home. A homebuyer is particular and will notice the smallest features and attributes of a home down to the door handles and faucets. We show the overall beauty of a home, complete with the finer points from the beginning to get buyers into your existing home and ready to make a strong offer. Custom cabinetry and flooring will be featured not only as a word on a checklist, but something that is visualized in the beauty of a setting it was meant to flourish. When you are ready to sell you home you want to make sure potential homebuyers see your existing home in all of its unbridled glory. You want to convey to them what makes your home special and unique, and how this home can become their dream home for years to come, or possibly even for a lifetime. After all, when you bought this home you fell in love with it. We aim to ensure the next buyer will see the potential and brilliance of a home and fall in love with it all over again. Upon listing with us, we begin planning our first of two open house events. These events are marketed on the MLS, on our Zillow premier site, through postcards, and our featured spot in the Community News (reaches communities like Versailles, Black Diamond, Olympia, Isles at Wellington, Stonehaven, Villagewalk and many more). 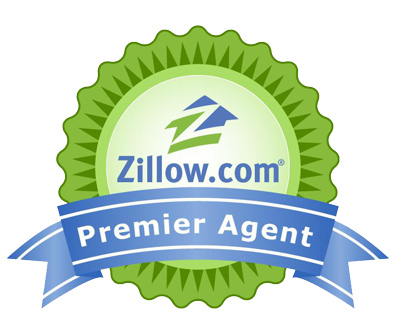 As a Zillow Premier Agent, we are able to promote your home to thousands of buyers in the Palm Beach County market at no additonal cost. This will add value to your listing and enable us to sell your home quickly. My Area Realty, Inc. can walk you through the process from beginning to end. Buying a home is a big decision, and one you do not want to make without seeing and feeling all that home ownership has to offer. At My Area Realty, Inc., we do not just capture the existing features of a home. We bring the depth of emotion and extravagance to the forefront, showing a home in polished brilliance of what it has the ability to become. At My Area Realty, Inc., we do so by capturing the beauty of a home with our exclusive Homeview System. With pinpointed technology, our expert team of professionals highlights the features of a home that potential buyers do not want to miss. We begin with the street level view of a home. Curb appeal is what can make or break any deal, and is often the first test of whether a new homebuyer is ready to move inside and experience more. At My Area Realty, Inc. we know how to showcase a home to get potential buyers inside, and keep them there, ready to visualize more of what a home has to offer them and their future. Once we capture the very best of a home through our Homeview System, we document this personal in-depth home visit online where potential buyers all over the world can see and explore what South Florida homes have to offer. You will not have to wait for homebuyers to drive by your home, or weed through countless checklists online. We bring a home to life by promoting the very best of what it has to offer a new homebuyer with the convenience of a showroom that never closes. If you are ready to sell your home, or buy a new one, contact My Area Realty, Inc. for all of your real estate needs. We will lead you through the process from the beginning with professionalism and unparalleled attention to detail that no other company can promise or deliver. Please fill out the form below to get started.